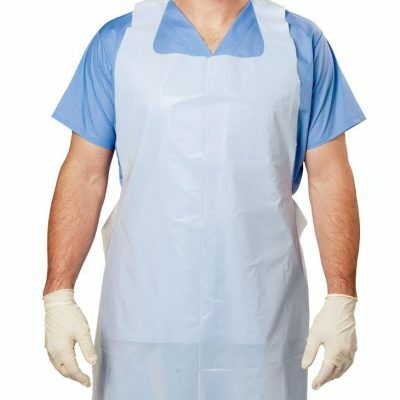 Aprons Polyethelyne. Disposable, polyethylene. Ties at back. 27” x 36” bib style in dispenser box. Wipe, Micro-Kill, AF, 10 x 10′, 60 ct tub.